Capacity 400GB. Interface SATA 3.0Gb/s. All hard drives are fully tested by performing a HMG Infosec Level 5 wipe on them. Rotational Speed 5400 RPM. Storage & Drives. Everything is fully tested unless otherwise stated. Product LineCaviar SE16. WD WD4000AAKS-00TMA0. Form Factor3.5" (25.4mm High). P/n: WD400YR 01PLB0. Caddy & Hard Drive. Capacity: 400GB. Interface: SATA I. All hard drives are fully tested by performing a HMG Infosec Level 5 wipe on them. Rotational Speed: 7200 RPM. Storage & Drives. Everything is fully tested unless otherwise stated. Capacity 400GB. Interface SATA II (3.0Gb/s). All hard drives are fully tested by performing a HMG Infosec Level 5 wipe on them. Rotational Speed 7200RPM. Storage & Drives. Everything is fully tested unless otherwise stated. Product Code 10172. Size 400 GB. Make WESTERN DIGITAL Pc Disk Drive. WIN7 PRO DELL 760 BUNDLE CORE 2 DUO 2.8GHZ GEN 1 4.0GB 250GB 9248. HP 6000 1 X CORE 2 DUO 3.0GHZ E8400 1ST GEN 4.0GB 160GB WINDOWS 7 9571. Capacity: 400GB. Interface: SATA I (1.5Gb/s). All hard drives are fully tested by performing a HMG Infosec Level 5 wipe on them. Rotational Speed: 7200 RPM. Storage & Drives. Everything is fully tested unless otherwise stated. 3.5" Hard Drive - HDD SATA I. All our hard drives are fully wiped using professional data erasure tools, so has no data on it. can try and resolve any issues. Other Information. 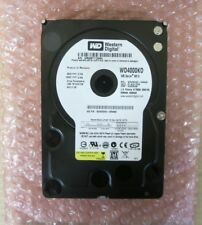 This is a manufacturer re-certified,Western Digital WD4000BMVV 400GB USB 2.0 HDD , tested, in great working condition. Zero power-on hours! DCM: HBCVJBB. This drive can NOT be used for laptop or notebook computer as it has a USB connector build into the PCB. This item is for one Western Digital WD4000AAKS-00TMA0 DCM:DANCNV2CHB 400gb 3.5" Sata HDD. This drive and all of our drives are professionally tested and cleaned on a DOD certified machine at Oem level. CAPACITY: 400GB. PCB CIRCUIT BOARD ONLY, FULLY TESTED AND WORKING. This item is for one Western Digital WD4000AAKS-00YGA0 DCM:DHNCHT2CHN 3.5" 400gb Sata HDD. This drive and all of our drives are professionally tested and cleaned on a DOD certified machine at Oem level. 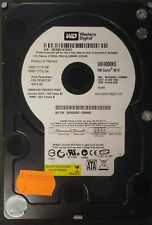 This is used,Western Digital WD4000BEVT 400GB SATA HDD , tested, in great working condition. DCM: HHCVJBNB. MPN WD4000BEVT. Storage Capacity 400GB. SATA Form Factor 2.5". all original parts and accessories. DCM: HBHCAJAH. Model: WD4000YR. MPN WD4000YR. WD 400GB SATA 3,5" Hard Drive. Western Digital 400GB SATA Hard Drive. Storage Capacity 400GB. SATA Form Factor 3.5". Make Supersized Seem Small. Model: WD4001ABYS. family WD RE2. cache 16MB. interface: SATA II. form factor: 3.5". rotation speed: 7200 RPM. Capacity: 400GB. rotation speed: 7200RPM. manufacturer:Western Digital. form factor: 3.5". cache: 8MB. DCM: EHNCHV2CHB. MPN WD4000AAJS. Western Digital Caviar SE 400Gb SATA Hard Drive. Storage Capacity 400GB. SATA Form Factor 3.5". all original parts and accessories. Parts are not to be removed or swapped. 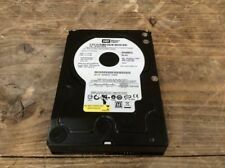 Western Digital WD4000BPVT, Scorpio Blue 400GB, Internal 5400 RPM, 2.5. Its not working but its suitable for parts. With no missing part and in original condition. This item is for one Western Digital WD4000AAKS-22YGA0 DCM:HARNNT2AHB 400gb 3.5" Sata Hard Drive. This drive and all of our drives are professionally tested and cleaned on a DOD certified machine at Oem level. This item is for one Western Digital WD4000AAKS-00C8A0 DCM:HHRNHT2AHB 400gb Sata 3.5" Hard Drive. This drive and all of our drives are professionally tested and cleaned on a DOD certified machine at Oem level. This item is for one Western Digital WD4000AAKS-00C8A0 DCM:HARCHT2MHB 400gb Sata 3.5" Hard Drive. This drive and all of our drives are professionally tested and cleaned on a DOD certified machine at Oem level. This item is for one Western Digital WD4000AAKS-00TMA0 DCM:DBRCHV2MBB 400gb 3.5" Sata Hard Drive. This drive and all of our drives are professionally tested and cleaned on a DOD certified machine at Oem level. This item is for one Western Digital WD4000AAKS-00TMA0 DCM:DANCHV2MAB 400gb 3.5" Sata HDD. This drive and all of our drives are professionally tested and cleaned on a DOD certified machine at Oem level. This item is for one Western Digital WD4000AAKS-00TMA0 DCM:DANCHV2CHB 400gb 3.5" Sata HDD. This drive and all of our drives are professionally tested and cleaned on a DOD certified machine at Oem level. This item is for one Western Digital WD4000AAKS-00TMA0 DCM:DBNCHV2CAB 400gb 3.5" Sata HDD. This drive and all of our drives are professionally tested and cleaned on a DOD certified machine at Oem level. DCM: HCHCAJAA. 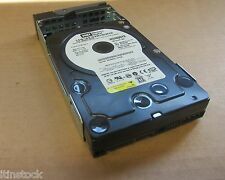 This is a used,Western Digital WD Caviar RE2 WD4000YR 400GB SATA HDD , tested, in great working condition. MPN WD4000YR. Storage Capacity 400GB. Rotation Speed 7200RPM. all original parts and accessories. This item is for one Western Digital WD4000AAKS-00YGA0 DCM:HHRNNT2MAB 3.5" 400gb Sata HDD. This drive and all of our drives are professionally tested and cleaned on a DOD certified machine at Oem level. This item is for one Western Digital WD4000AAKS-00YGA0 DCM:HHNCHT2AH 3.5" 400gb Sata HDD. This drive and all of our drives are professionally tested and cleaned on a DOD certified machine at Oem level. This item is for one Western Digital WD4000AAKS-22YGA0 DCM:DARNHT2CHB 400gb 3.5" Sata Hard Drive. This drive and all of our drives are professionally tested and cleaned on a DOD certified machine at Oem level. This item is for one Western Digital WD4000AAKS-22YGA0 DCM:DHRNHT2CHB 400gb 3.5" Sata Hard Drive. This drive and all of our drives are professionally tested and cleaned on a DOD certified machine at Oem level.